The Basil Vinaigrette is one of our lighter, sweeter dressings, that’s filled with deliciously complementing raspberry and basil undertones. 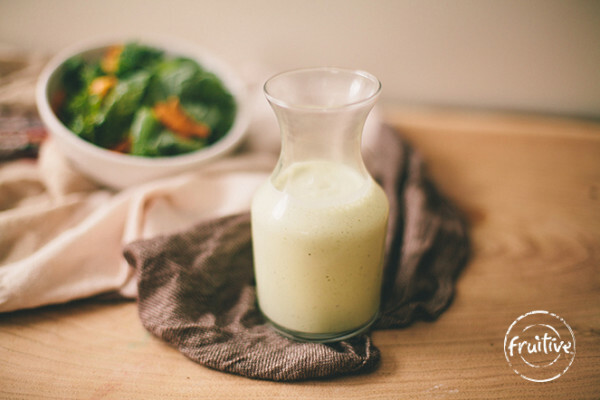 This dressing brings about scrumptious sweet flavors that’s perfect for any wrap or salad. Find it on our Collard Wrap – yum! Our dressings are house-made with whole food ingredients and no preservatives whatsoever. Everything that goes into our dressing is absolutely fresh - fresh herbs, fresh garlic, fresh ginger, fresh green onion, fresh lime juice, etc.! We only use natural, low glycemic sweeteners, and very little if that. Not to mention, all of our dressings are olive oil based, making them deliciously light and pack-full with healthy fats and antioxidants. These dressings are the perfect addition to any healthy dish! 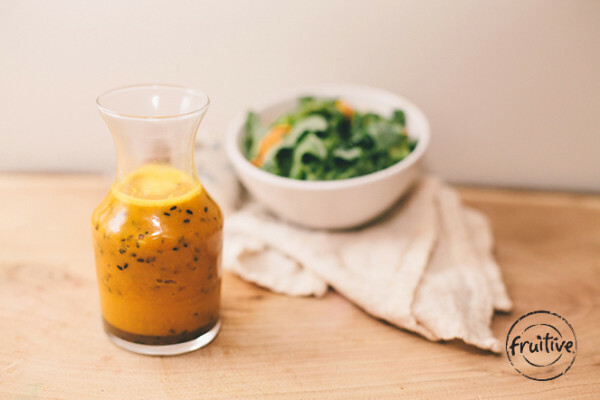 The Carrot Ginger Dressing is one of a kind. We use it on our Protein Power and Hail to the Kale Salad, as well as our Collard Wrap. It’s our go-to dressing to add sweet, warm ginger tones and sesame, Asian-inspired flavor to any meal. Specifically, this dressing is not only perfect for salads and wraps, but is also great for dipping. Use it with your vegan spring rolls, plant-based dumplings, veggie sushi, or edamame – Yum! This 100% plant-based Ranch Dressing is a definite crowd pleaser. It’s super creamy, savory, and a little zesty. If you didn’t already know it was 100% plant-based, you would never think twice! Perfect for salads, wraps, and dipping. Use it just like you would regular ranch, but save the calories! Find it on our Southwest Wrap. Our original hummus is made with garbanzo beans, better known as chickpeas, as well as olive oil, tahini, lemon juice and spices. It’s made with no preservatives and only the freshest ingredients, for the ultimate hummus experience. It’s homemade, creamy, nutritious, and super delicious! Plus, it makes for a great dip, spread, or dressing – Yum! Our original hummus is packed with protein and fiber thanks to its delicious base - garbanzo beans. Not to mention, it's also rich in iron-filled cumin, heart-healthy, anti-inflammatory olive oil, alkalizing lemon juice, and antioxidant-packed paprika. Our spicy hummus is made with garbanzo beans, better known as chickpeas, as well as olive oil, tahini, lime juice, fresh jalapenos, and tons of herbs and spices. It’s made with no preservatives and only the freshest ingredients, for the ultimate hummus experience. It’s homemade, creamy, nutritious, and super delicious! Plus, it adds a fantastic hot kick to any recipe! 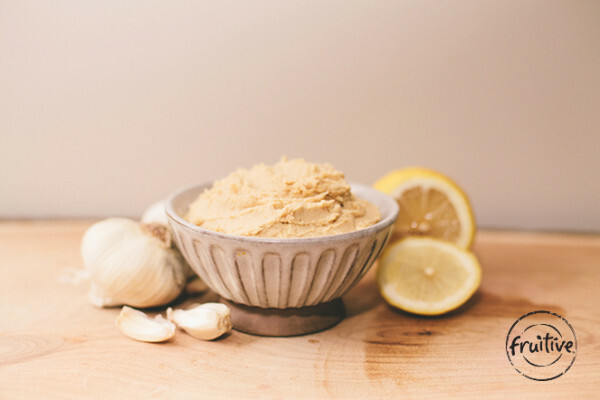 Our Spicy Hummus is packed with protein and fiber-rich garbanzo beans, as well as tons of vitamin C and other antioxidants from the fresh jalapenos, cayenne, paprika, and cilantro.